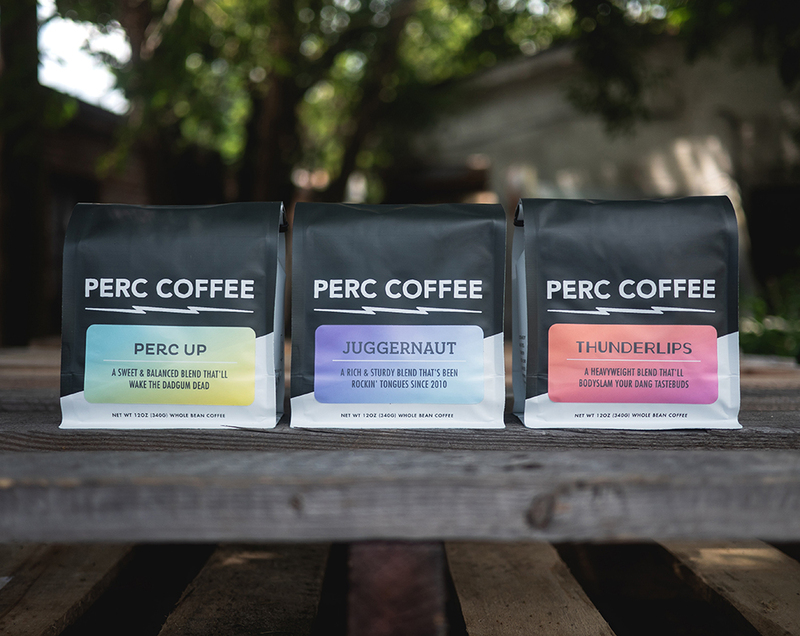 Swing by PERC Coffee Roasters courtyard for the East Side Block Party! Big Bon Pizza will be slinging zaza in the courtyard, did we mention there will be a special espresso dessert pizza. 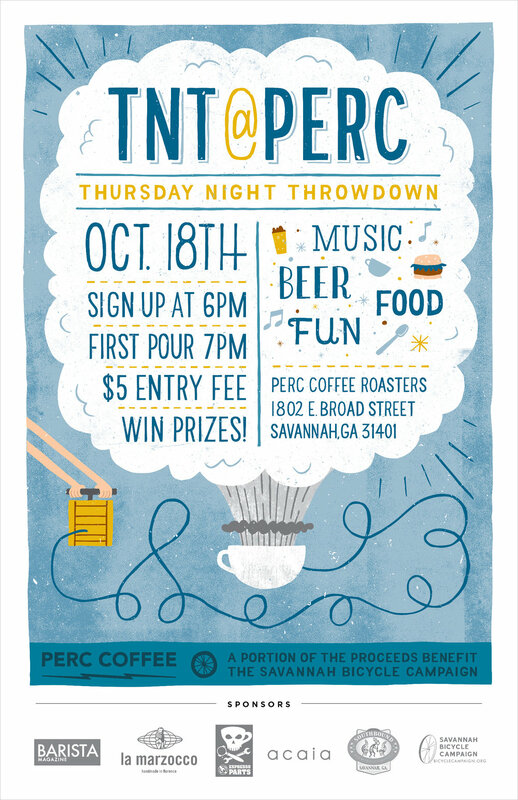 Two Tides Brewing Company will be serving up beer and a special beer + coffee pairings with PERC. Music will be out in the courtyard by Eric Daubert and his band. Our friends from Savannah Urban Garden Alliance will be hanging out as well! A $5 cover at the door will get you into the event and a portion of the proceeds will go to SUGA! You know that feeling when you get some new shoes or a fresh haircut? Well, that's how our blends feel right now about their new labels! (queue Diana Ross' "I'm Coming Out") Keep your eyes peeled because these babies are popping up in the wild and dancing their way into your homes as we speak. Fresh, new labels on the outside; same great coffee on the inside! Snag a bag or three and check 'em out!